Planning for retirement is a difficult task. The rules that govern American retirement accounts complicated and ever-changing — but you also need to figure out how much to save, where to save, whether or not you need professional assistance, how long you need to save for, and just how much value the Federal Reserve is going to drain from the dollar. Of course, there are some rules for retirement savers to live by: saving some money is better than not saving any; investment portfolios should be well-diversified; and you should have a defensive hedge to protect your assets from systematic risk (think 2007-09). If you’ve been following this blog, you understand why gold is your best hedging choice. Some workers are lucky enough to have 401(k) plans with good matching programs and excellent investment options. However, not all employer-sponsored retirement plans are created equal, especially in the 401(k) sphere. There is a bevy of potentially crippling pitfalls with 401(k)s. The most common problem is a lack of effective investment choices — remember, plans are often sponsored through mutual fund companies and your employer may not want to pay for a good provider, leaving only cookie-cutter, kindergarten funds to choose from. Others may have little-or-no employer match programs (which is the primary benefit of a employer plans), or maybe they have exorbitant management or broker fees, costing you thousands. Normally, workers will roll over their 401(k) money into another account once they have left the employer. The government does not normally allows retirement plan balances to be moved otherwise, under the justification that retirement funds should be kept out of reach until you’ve stopped working. However, it may be legal to move your money before you retire or change jobs, as long as your plan participates. The most common employer provided plan is the 401(k). Any money that fits into one of the above categories is eligible for an inservice rollover. Be sure to check with your plan, however; just because the law allows a rollover doesn’t mean that each 401(k) plan will. You may also be limited to an all-or-nothing rollover, and which could very easily place you over the annual contribution limits for IRA accounts. An inservice rollover really makes sense if you find an IRA custodian who will charge lower fees than your current 401(k) plans. 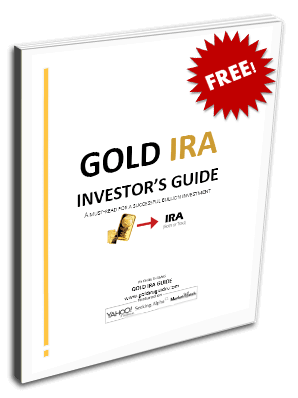 With the right move, you can cut your fees and costs, increase your retirement investment options, and even allow your account to hold physical precious metals bullion to serve in the defensive position. Feel free to speak to your current plan administrator about a possible rollover, but don’t be surprised when they try to convince you against such a move. If you’re plan has a good matching program, don’t rollover your funds and close your 401(k) account. Those employer matches are free funds and you won’t find anything like it in the self-directed IRA world. Unless the fees you are paying outweigh the benefits of the rollover, which is unlikely, then sticking with the 401(k) is the best option. The other main reason to not consider an inservice rollover to an IRA is that you simply aren’t allowed to. In which case, you’re best option is to pick a safe investment portfolio and only contribute enough to take full advantage of any potential employer match, then place any additional savings towards a separate self-directed IRA.